Definition at line 606 of file lscript_tree.h. 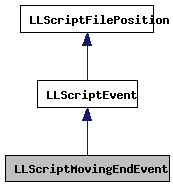 Definition at line 609 of file lscript_tree.h. Definition at line 614 of file lscript_tree.h. Definition at line 2173 of file lscript_tree.cpp. Definition at line 2147 of file lscript_tree.cpp. References LLScriptByteCodeChunk::addBytes(), LLScriptFilePosition::fdotabs(), gErrorToText, LLScriptGenerateErrorText::getErrors(), LSCP_EMIT_ASSEMBLY, LSCP_EMIT_BYTE_CODE, and LSCP_PRETTY_PRINT.